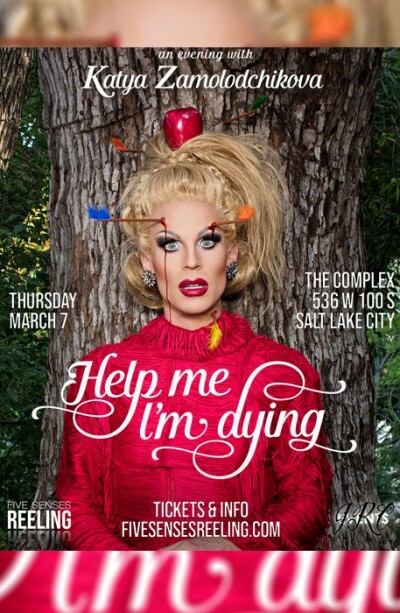 RuPauls Drag Race Miss Congeniality and All Stars S2 finalist, Katya Zamolodchikova brings her hilarious new stand up show to Salt Lake City for the first time next March! Known for her incredibly funny personas and characters, including everybodys favorite dumpster living hairdresser, Trish, Katyas show promises to be one hilarious night. Need some pre-watching? We recommend checking out the WeLoveKatya YouTube channel where you can see Irregardlessly Trish, RuGRETS and Total RuCall. Also check out her weekly podcast "Whimsically Volatile".